Gniew lies by the road no 1 from Toruń to Gdańsk, 30 km on the south-east off Starogard Gdański. After entering the town you must head for the center, and there follow the traffic signs leading to the castle. Be careful! Gniew lies on the left bank of the Vistula, and there is no bridge nearby. So Traveler if You found yourself on the right bank of the Vistula (e.g. 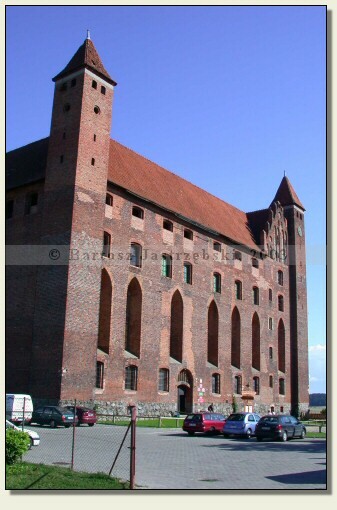 in Kwidzyn) and wished to visit the castle in Gniew, You should take account of the fact that You may not manage to cross the Vistula by ferry. In this case you can only make a few dozen kilometer – long journey northward or southward to the nearest bridge. Such an adventure befell the author of this website in 2003, when due to the drought, the Vistula level was so low that the ferries did not ply. 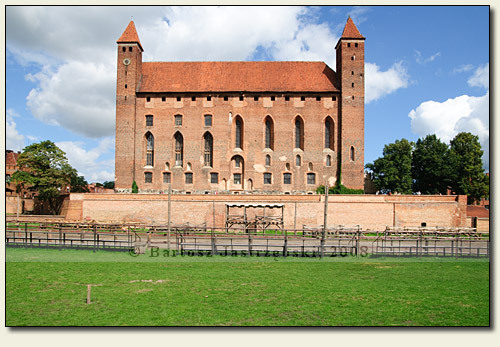 Originally there existed the Pomeranian castle in Gniew, which in 1276 was passed by the duke Sambor to the Teutonic Order. In 1283 the Teutonic knights built a provisional castle in Gniew, and as the building material served them a material from a dismantled stronghold Potterberg in the land of Chełmno. The first Komtur became then Dietrich from Spira. The construction of an existing till today castle began probably in 1297 and lasted for around 20-30 years. In the 30s of the XVth cent. 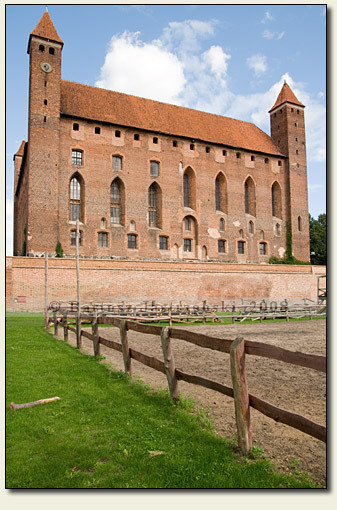 Gniew was a temporary residence of the former Grand Master Michał Küchmeister who ordered to convert the castle. After 1466 the stronghold housed the Polish non-town eldership. In the first half of the XVIIth cent. the building was destroyed by the Swedes and since then the castle was falling into ruin. It was partially restored in the times when the starost was Jan Sobieski, the later king. 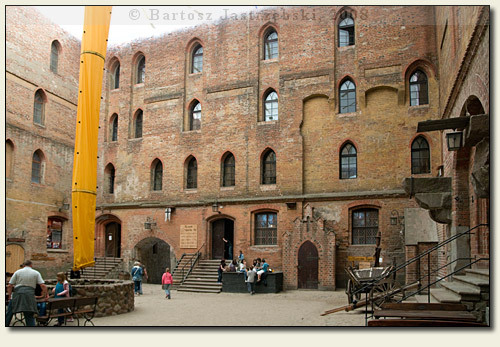 After the First Partition of Poland, the Prussians established the barracks in the castle, and then the cereal stockroom. In the years of 1857-1859 the castle was converted into the prison, and after regaining the Independence by Poland the building became the eldership’s residence. Then the castle was taken by the army, and in 1921 it was consumed by the fire. The reconstruction of the castle was not undertaken until 1969.